Summary: Heading, tumbling, skipping and tomfoolery at White Hart Lane as Tottenham’s first team prepare for the new season. Description: Tottenham prepare for the new season with a light-hearted training session at White Hart Lane. 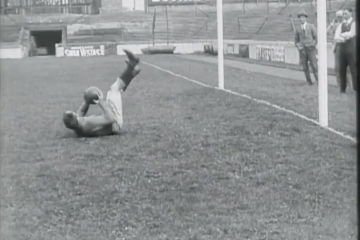 A player is seen struggling to put on his boots, while striker Charlie Wilson – soon to join Huddersfield – has a go in goal. The squad are shown practicing headers before forward Andrew Thompson shows off his skipping. Perhaps they should have taken it more seriously: having finished 2nd the previous year, Spurs ended the season a disappointing 12th. The three people behind the goal are Peter McWilliam (manager), Billy Minter (trainer and former player) and Ben Ives (chief scout). 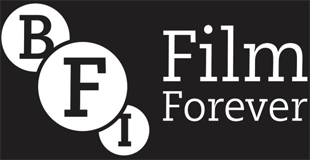 Selected by London's Screen Archives on behalf of the BFI National Archive.